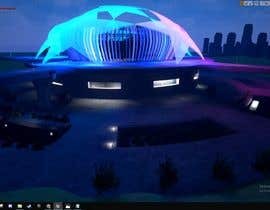 We need unreal designer to build stadium lighting material and fly camera , build in unreal engine 4.19 . and we will apply to brainstorm virtual set . Question was already asked but I don't see it anymore so it's probably removed. Do we need to make the interior of the stadion? can we modelling in onother software like cinema 4d, blender, maya etc. ??? LOL Nice Question Sasho A.